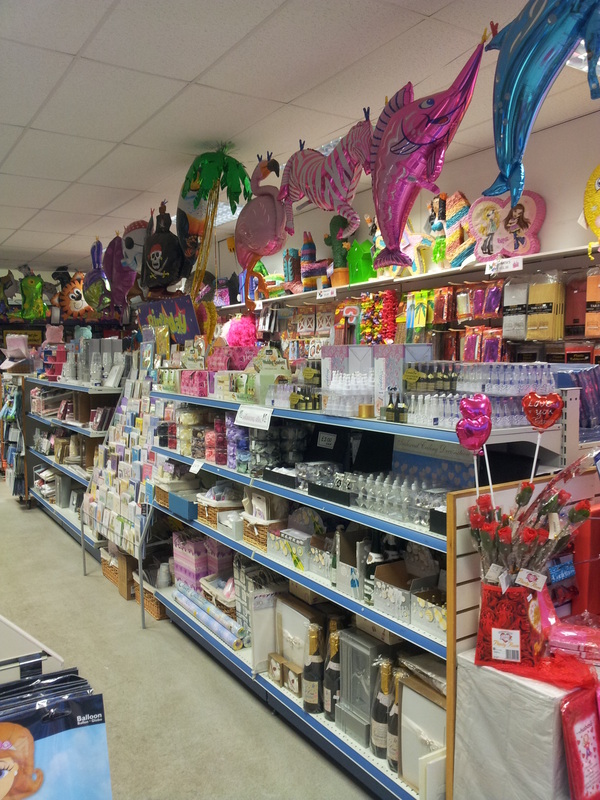 The biggest choice of balloons and party items in Mansfield! Keep watching this website for the latest products and special offers. Is now managed by the One Stop Party Shop. 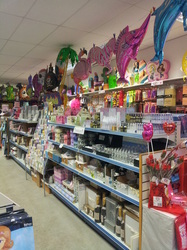 ​For the best choice of party items and balloons come to our Newgate Lane shop. Please order as early as you can as we get very busy and we may be unable to draw them whilst you wait. . All are hand drawn and the talented artists do not work every day. Where we are able to offer a same day service a £1.50 surcharge will be applied. Remember we do have the widest range of pre-printed balloons in Mansfield, that you can come and buy without ordering. Rose Gold holographic banners and bunting to match the foil balloons we already stock. 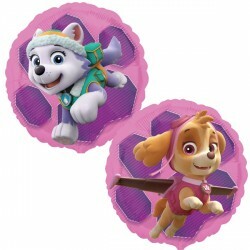 These look fantastic and are likely to be the biggest selling range this year. 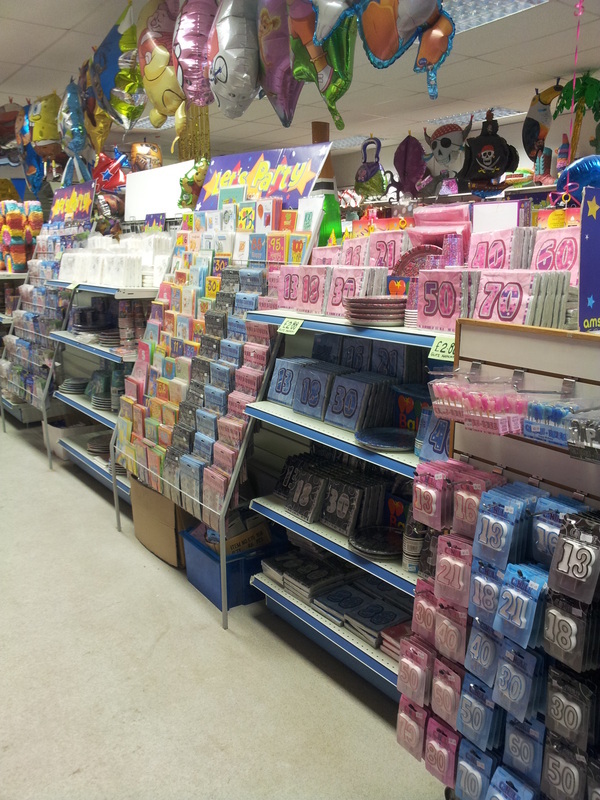 The 18" size balloons ( £2.75 each) , Banners ( £1.30 each ) , and bunting ( £1.75 each ) are available in Happy Birthday and ages 16 , 18 , 21 , 30 , 40 , 50 , 60 , 65 , 70 , 80 , 90 ..
Don't want the hassle of making up your own party bags ? 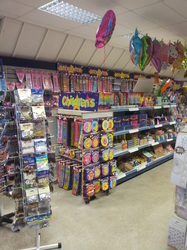 We have pre-filled bags for boys or girls at just £1 each . These contain 6 items ( typical contents are pictured below). 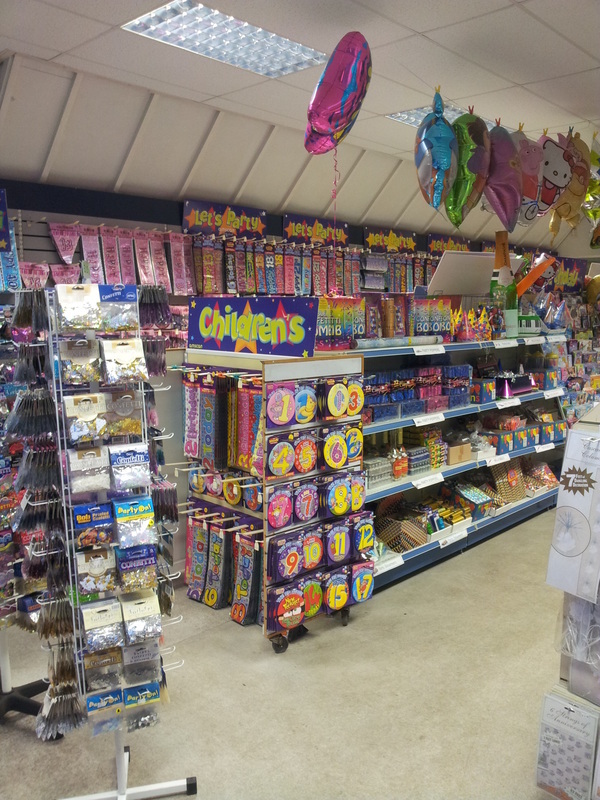 Remember we also sell party bags and a very large range of party bag toys if you wish to make your own party bags. Have your own designs foil embossed on to paper napkins. Better than internet prices and printed instore . Sizes from 8" up to 20"